Home »	Optimize » How to block "Microsoft account unusual sign-in activity” phising scam? Issue: How to block "Microsoft account unusual sign-in activity” phising scam? Hi guys. I’m a bit concerned if I have recently received a genuine Microsoft alert on my Outlook account or not. The message says “Unusual sign-in Activity.” Although I see Microsoft account team as a sender, the generated URL address seems suspicious. Besides, the location of the sender is Namibia, which also seems questionable for me. 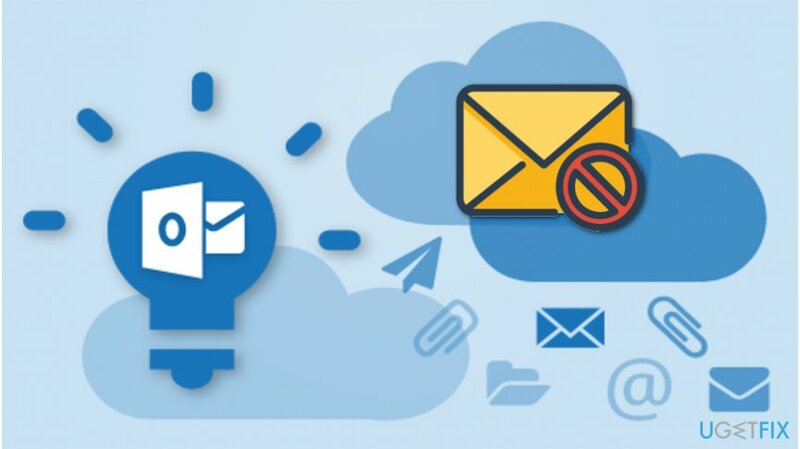 Finally, it’s stated that to save my personal information, my Outlook account will be temporarily blocked, so I should not be able to send or receive emails, BUT I do send emails and receive them. I tried that and received a confirmation from my colleagues that they have just received an email from my account. 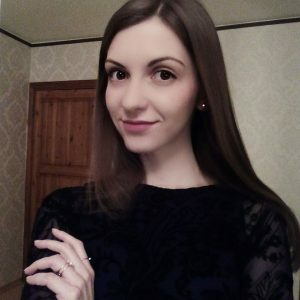 Could you please help me? 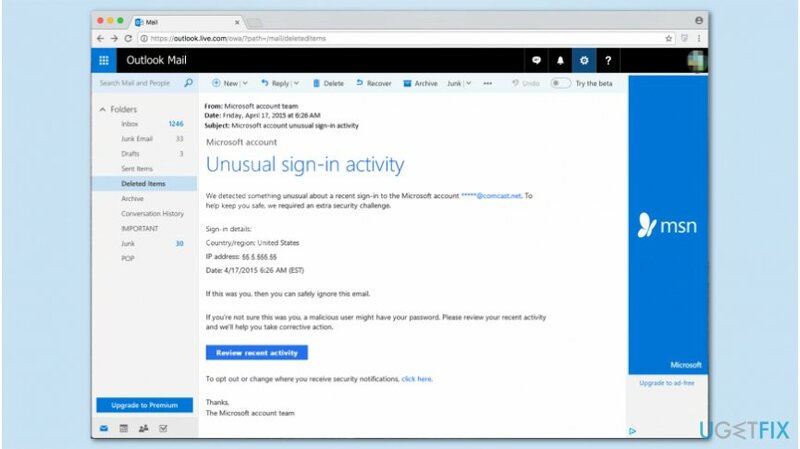 “Microsoft account unusual sign-in activity” is an email letter which informs about a suspicious sing-in to the Outlook account. In most cases, such emails are legitimate and useful to protect you from hackers. However, cybercriminals invented a phishing technique to trick novice users into giving their credentials — they sent fake letter that look extremely similar to the legitimate ones. “Microsoft account unusual sign-in activity” scam relies on the credulous people who do not pay attention to details. Users should always double check the email address before agreeing to do what is asked or clicking on any contents attached to the letter. Criminals use addresses that are similar but slightly different from the legitimate ones. Furthermore, you can always contact Microsoft Support directly on their official website, if you wonder whether “Microsoft account unusual sign-in activity” alert is safe or legitimate. Additionally, Outlook often marks safe email addresses with the green shield icon. So, if you cannot see one, do NOT open the email. Usually, the link indicated in fake “Microsoft account unusual sign-in activity” message redirects to a counterfeit log-in page to trick you into providing your logins and passwords. Also, there is a possibility that the link can trigger an automatic installation of malware on your system. So stay away from the content placed in the email! Finally, once you are sure that “Microsoft account unusual sign-in activity” is a phishing scam, you must protect your email inbox from such fraudulent and potentially dangerous messages. 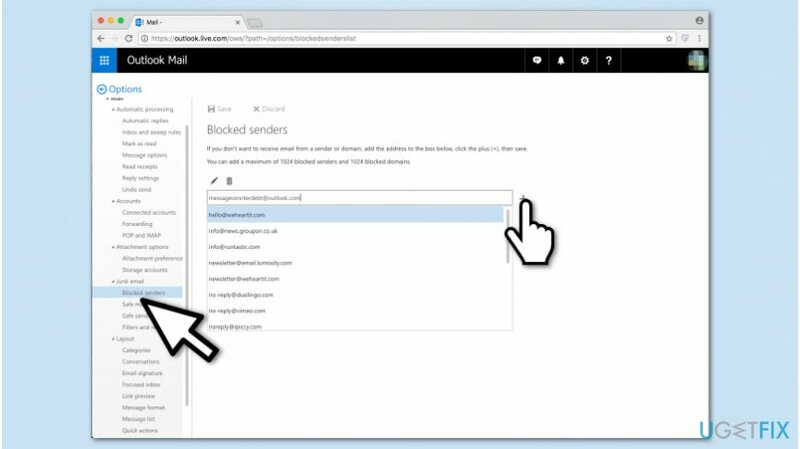 Luckily, Outlook provides a feature to block senders if they are dangerous or annoying. 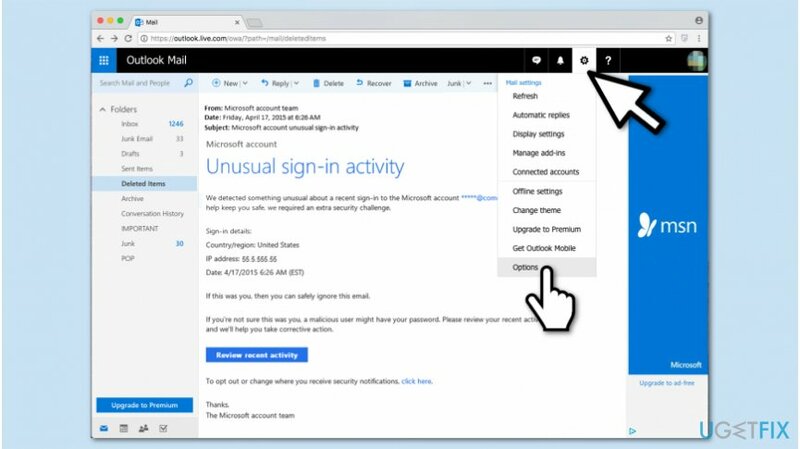 In case you have encountered “Microsoft account unusual sign-in activity” phishing messages on Outlook, you can protect your system two ways. The first one is to immediately get a professional malware removal software if you still don't have one. Our top pick would be Reimage. Robust antivirus program is designed to protect your computer from malicious emails that aim to infect your system with malware or lead to fake login sites. Thus, the security software will warn you when criminals are trying to swindle information, money or other sensible data from you. Another method is to assign the sender of “Microsoft account unusual sign-in activity” email to the blocked list. However, keep in mind that this technique does not protect you against other phishing scams that might occur right after you get rid of this one. Thus, it would be wise to get a security software. If these steps did not help to fix “Microsoft account unusual sign-in activity” scam, please contact a genuine Microsoft account team for additional assistance. ^ Scam emails. Action Fraud. Report Fraud and Cyber Crime. ^ Bert Rankin. Top 10 Malicious Email Threats. Lastline. Advanced Malware Protection, Malware Analysis. ^ Danny Palmer. What is phishing? Everything you need to know to protect yourself from scam emails and more. ZDNet. Technology News, Analysis, Comments and Product Reviews.